*Note: Scroll to the bottom of the posting to learn about storing your 3D files for AR/VR applications. That said if a model has too few polygons then it's going to look smoothed over regardless of how good the other factors are. 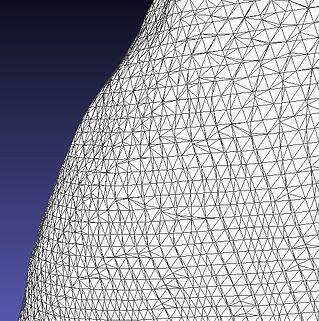 In general you want your model to have over 250,000 polygons to ensure accurate geometry. The texture is where all the color data is stored for a 3D model. A texture is saved as an image that is referenced within the 3D model. Textures are mapped to individual points in a 3D mesh by UV coordinates. You can think of a texture as wrapping paper that goes around a 3D model. To analyze the quality of a texture you are not only looking for texture resolution, but also the sharpness of important details, such as facial features. If your scanning process takes over 3 seconds there is a good chance facial features will come out blurry since there is a high chance the person will move during the capture process. 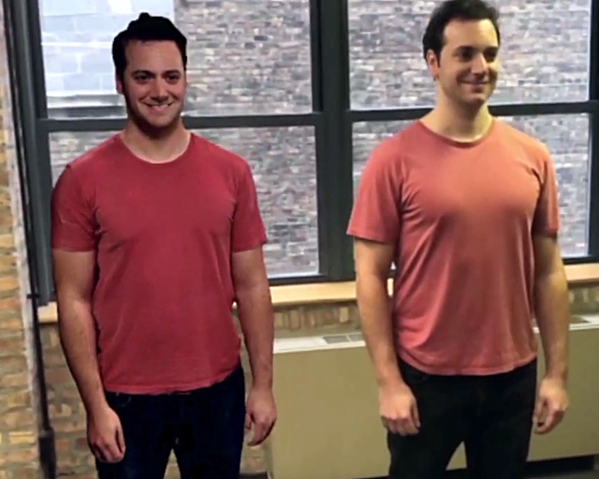 AR/VR applications pose interesting challenges for displaying data from full body 3D scans. 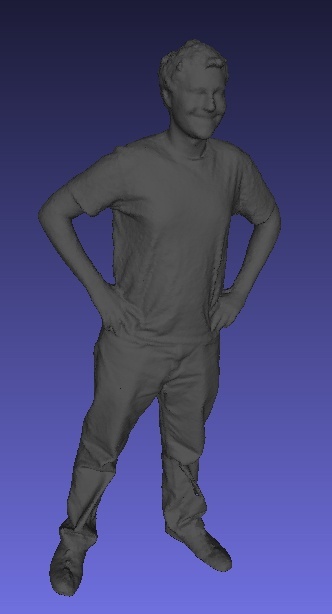 On one hand you want the quality of the 3D asset (another name for a 3D file) to be high enough so that you can see all of the small details on the person you 3D scanned. On the other hand, if your 3D asset has too many polygons or the texture resolution it too high then the AR/VR application will suffer from performance issues. There is a great deal of research going into making AR/VR applications have better performance, but until then it's important to be mindful of this balance. With today's AR/VR hardware, a good rule of thumb is too stick to to 3D assets with less than 50,000 polygons and textures smaller than 2000x2000 pixels. It's important to keep in mind that these numbers will likely fluctuate as new AR/VR headsets come out with faster processors that support heavier graphic loads. Click here to learn more about 3D scanning for AR/VR.